According to the data calling within five seconds of converting increased the likelihood of qualifying the buyer by 150% when compared to calling within one minute. Qualification rates drop below average if a call is delayed just 10 minutes and are 13% below average after one hour. We want what we want, and we want it now. Derek Singleton, B2B Sales and Marketing analyst at Software Advice said, “Our report shows that when a buyer contacts us directly for information—requesting a price quote or product demo, for instance—there is a significant benefit to calling that buyer right away. It was amazing to see that if we call a buyer within five seconds of converting, we qualify that buyer at a rate 30 percent higher than our average qualification rate.” Wow. How many sales reps do you know who call a prospect within five seconds? It’s really important to note that that doesn’t mean inside sales reps should call every lead. What’s important is to let the customers’ behavior drive your response, but also for your sales team to also understand how speed critical is. And, as the report mentions, having the right technology and processes in place to allow this to happen is imperative if your business relies on web-based leads. Lastly, always remember that some leads need calls and some need nurturing – make sure you know how to tell the difference between them. The research revealed that buyer activity (read that: web traffic) peaked on Tuesday and then remained high through Thursday. That totally makes sense to me as I reflected on my own personal habits. Monday I’m catching up and trying to knock out a bunch of work and Friday I’m trying to get things wrapped up and I’m already thinking about the weekend ahead. Even more interesting was that while web traffic was one thing, conversions were another. 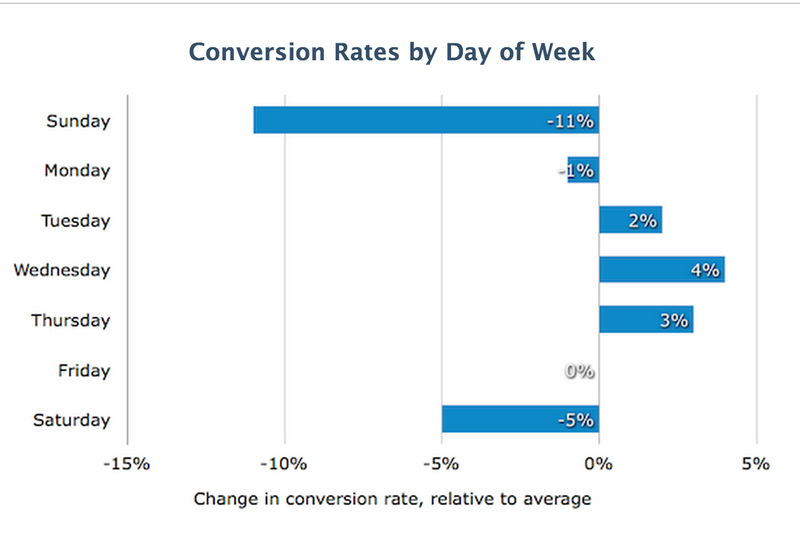 Across the board, Wednesday proved to hold the magic when it came to conversions. It’s a no-brainer that when your people want to take a day off or when you’re looking for the best day to have a staff meeting – Monday or Friday, all the way. This was pretty interesting as well, but not surprising based on my own work habits. Not much happens before 9am EST, when the East Coast folks roll into their offices (or, in my case, I’ve gotten the kids to school, landed in the office and am drinking some much-needed coffee). The report also covered the best time of day to make calls and it should come as no surprise that early is just about always better. Unique website visitors start to climb mid-morning, peaking just before and just after lunch. I don’t know about you, but I do a ton of research during the “quiet time” that is the lunch hour, so that is spot on in my world. 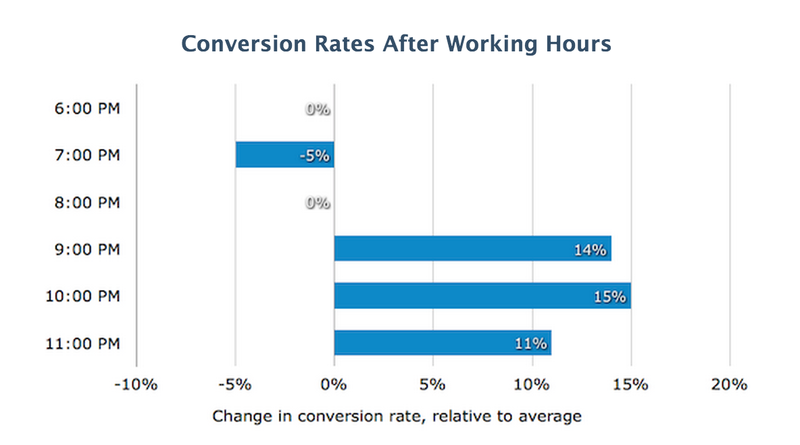 Another really interesting data point was that conversions happen in the evenings, between 9pm and midnight. Well, it’s 10:46pm here and I’m writing this blog post, so I guess that goes to show you that these are prime “work” hours – or maybe it’s better to call them “catching up hours” for me. What about you? 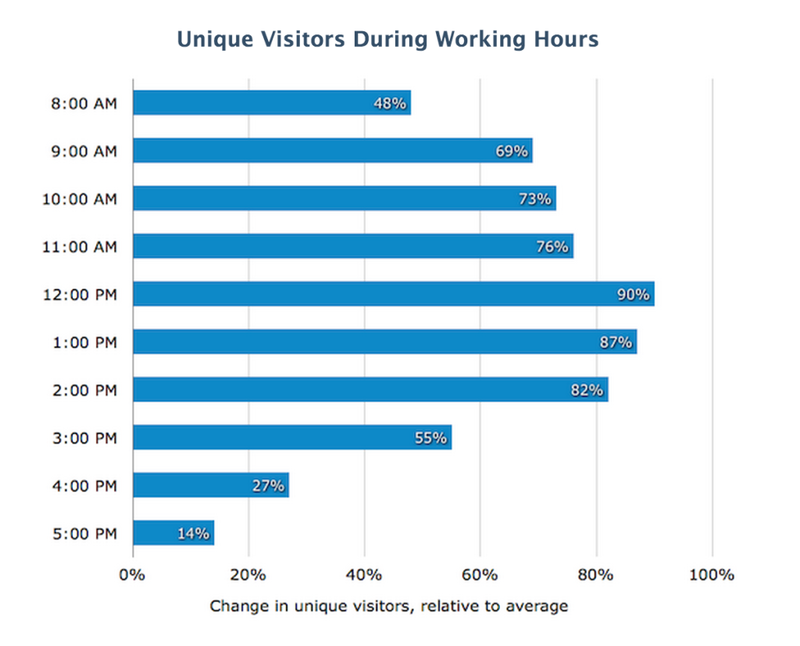 And as indicated in the report, those hours would be a great time to supply your buyers with content to help them in the buying process, since you don’t have reps that can reach out to them late in the evening. But offering a white paper or on-demand webinar might be a great thing to help get them where you’d like them to be. There was some other interesting data about traffic and qualification rates during holiday periods and the like. For their company, conversion data indicates that it makes sense to work the week before and after Christmas and to take holidays like Memorial Day and Labor Day, to mention a few, off. B2B buyers are increasingly researching on the web and if you want to succeed in the online marketplace, it’s imperative that you collect, analyze and leverage real-time data and understand buyer behavior – and let that lead your sales and marketing strategies. These findings show that for this software company, allocating sales resources at the right time, in the right manner helps turn conversions into leads — I think that these findings likely apply to many in the B2B space. Being able to provide a speedy response to inquiries at the right time of day, the right time of the week — or year – and/or delivering to prospects the right kind of content to nurture them in their discovery (and buying) journey, is how you get to the place we all love – qualified leads. If you remember nothing else, remember this: B2B buyers (and consumers in general) are inundated with messaging and noise and have become expert at filtering – or flat out ignoring — things that don’t address their pain points and solve their problems. Inside sales and marketing pros need to understand how to adapt their selling techniques so as to be useful to their customers and prospects instead of just being “awesome” and selling an awesome product. They need to understand their buyers’ personas, and be savvy about what their behavior shows about where they are in the sales funnel. 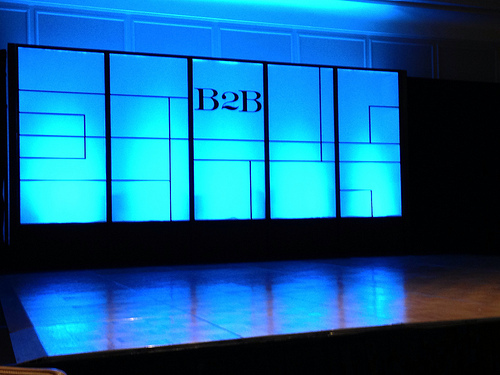 And when they want information, sales reps need to be prepared to serve it up – immediately. What do you think? Does this data and research match up with what you see or is this behavior unique to the software industry? I don’t think it is, but would love to know your thoughts. And be sure to check out the full report from Software Advice and let us know what you think.